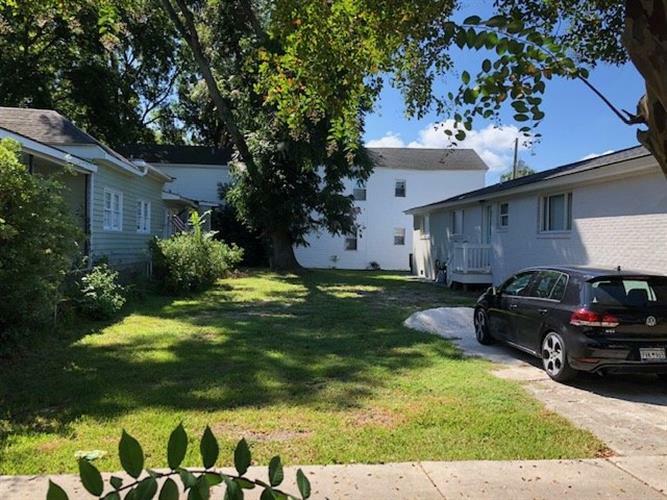 Unique opportunity to purchase a cleared lot with plans for a 6 Bed 6 Bath Rental Property in downtown Charleston SC. Current design provides 1, 925 SF of heated and cooled space with two-studio lockout units, and two-2 bedroom 2 bath units. Post construction Pro-forma NOI of $64, 000.This property includes all approvals necessary to obtain build permits including: '¢ Zoning and Tree Approvals Obtained'¢ HPR Documents Recorded'¢ Geo-tech / Soil Tests Completed'¢ Site Plan / Survey completed '¢ Full Architectural and Engineering PlansCompleted'¢ Value Engineering to Increase ConstructionEfficiency and Reduce Costs'¢ turn key construction bidsCurrent building design features: '¢ Raised foundation with covered parking for 3 cars'¢ 10 foot ceilings'¢ large rooftop decks'¢ flexible floor plan to accomidate single family or multi unit layouts.